Previously, I discussed Asimov’s three kinds of science fiction: gadget, adventure, and social. And while this trio better describes the wild and wooly mess of science fiction than the binary set of hard and soft science fiction, new sub-genres have cropped up that don’t quite match the categories Asimov created. Now, Asimov’s categories are descriptions based on function, so many hybrids exist. But there still remains one category outside this spectrum. Most speculative fiction attempts to peer into the Great Unknown in the hopes of better understanding who were are and where we are going, as in Maurice Renard’s definition of the scientific-marvelous. But some speculative fiction dives into stranger alleys. What if Star Trek and its expendable redshirts were real? What if, after Sauron was defeated, he was forced to work at a McDonalds? What if a girl was reincarnated into the villain of her favorite visual novel? What if the Soviet Union sent AK-47s back in time to the Confederate South? Welcome to gimmick fiction. Here, science is a worldbuilding conceit to be explored for all its consequences, no matter how mundane, glorious, or humorous the result may be. 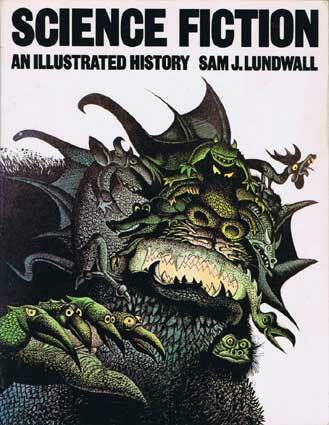 And while many of these stories are adventures in absurdity, all are unflinching in answering the question of “what if?” Like Asimov’s science fictions, this category hybridizes as well, most often with adventure, but much of alternate and counterfactual history blends into social science fiction. The key to detecting gimmick fiction is determining if the story’s central conceit be reduced to a single question. 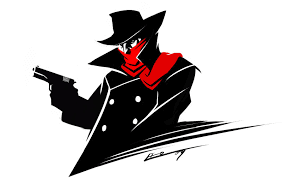 Granted, this can be easier to see with light novel titles that shout out their gimmicks such as Reborn as a Vending Machine, I Now Wander the Dungeon, I’ve Been Killing Slimes for 300 Years and Maxed Out My Level, and The Devil is a Part-Timer!, but much of hard alternate and counterfactual history follows the same course. What if Sam Houston was not wounded at a key battle in his youth? What if the South won Gettysburg? And so on. But the consequences have to arise from this question. A simple reskinning of historical events into space opera, a David Drake and others are prone to do, lacks the wild exploration of consequences needed for gimmick fiction. Gadget sci-fi: Man invents car, holds lecture on how it works. Adventure sci-fi: Man invents car, gets into a car chase with a villain. Social sci fi: Man invents car, gets stuck in traffic in the suburbs. Man invents car two thousand years early, chaos ensues. 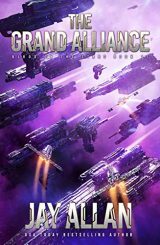 Jay Allan's Blood on the Stars series, of which The Grand Alliance is the eleventh book, is the heir to David Weber's epic Honor Harrington series. High praise, to be sure, and a statement that sets high expectations for readers. This feat is even more impressive as Allan is not writing Hornblower in Space, yet still conveys the heart of the naval tale: wooden ships and iron men. Denied the escalating technological arms race of Honor Harrington, Allan's Tyler Barron must rely on leadership, motivation, diplomacy, and his damage control crews to outfight the numerically superior Union and the technologically superior Hegemony. In earlier books, Allan conveys the tension of a damage control race between opposing ships vying to bring their guns back online first without resorting to Star Trek physics-defying wizardry or Honor Harrington's occasional forays into the accountant's view of war. In The Grand Alliance, now-Admiral Barron is gathering forces to retake the Confederation's capital after the brutal battle that stopped the Hegemony's invasion. He needs time to rebuild his fleet, time that will only make the Hegemony invaders increasingly stronger than his forces can ever become. While the rump of the Confederation's government seeks to negotiate with the invaders assimilating their citizens, Barron decides to risk it all in one last drive to the Capital. But first he must draw away enough Hegemony ships to give his strike a chance. The resulting campaign, from first raid to the final and decisive throw of the dice, forces the fleet to endure hardship, attrition, and even setback. Allan humanizes these costs without grinding the reader down or diving into anti-war cliche. It is right, good, and necessary to fight for one's homeland, but scars are unavoidable. This human focus means that when it comes time to determine if Barron's gamble leads to victory or disaster, the action is riveting as Confederation fighters lash out at Hegemony escorts and the lines of battleships duel, uninterrupted by clinical descriptions of ordnance and volume. The result reads like a "good parts" abridgment of a Honor Harrington novel while still maintaining its own identity. 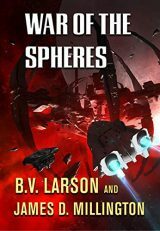 War of the Spheres, by B. V. Larson and James D. Millington, begins as a security operative staggers out of suspended animation. Plagued with gaps in his memory, Chief Gray is assigned to protect a military research and development program plagued by strange disappearances. But when Chief Gray finds the lead scientist gutted by a shadowy alien assassin, he learns the truth about the program. It is an attempt to create a new propulsion system to breach the force sphere around the solar system that imprisons humanity. Now Chef Gray must fight against alien spies, an entrenched military bureaucracy, the vices of supervisors and scientists, and even his own replacement to make sure this moonshot project succeeds. Larson has sold over three million books by sticking to a simple formula. A military-minded man gets swept up into secretive events driven by contact with a previously unknown group of aliens, and only succeeds in finding the best course of action for Earth because he is unencumbered by the vices of lesser men--including many of the vices celebrated by more traditional science fiction writers. Larson's heroes especially are plagued by arrogant and uncooperative scientists who are worthless in social settings, but must be endured for their occasional utility. The technology and nature of the threat change from series to series, keeping the formula fresh. "You left Logan out there," Whitman said bluntly. "That's better than having that thing in here with us, isn't it?" I looked Whitman in the eye. "Yes, I did." He thought about that, and he nodded his head. "You played it right. Logan was always impossible. He knew it all--you couldn't tell him anything." For once, we get science fiction that refuses to glorify the secret king, choosing instead to stuff him in a locker at every chance. This isn't out of cruelty, since the vices of lesser men, cowardice, gluttony, pride, jealousy, etc., actively threaten Chief Gray's mission and get a space station of bystanders killed. But while countless warnings of what not to be abound in the Chief's path, no aspirational examples exist. Chief Gray is the sole man of virtu in the world of vice, and I hope sequels will show how fellow men like the Chief interact and support each other's missions. In the meantime, following the Chief as he stalks alien commandos across the solar system is an unabashed pleasure. LEWIS: That can’t be science fiction. LEWIS: Ah, well, you’re now taking the German view that any romance about the future is science fiction. I’m not sure that this is a useful classification. AMIS: ‘Science fiction’ is such a hopelessly vague label. LEWIS: And of course a great deal of it isn’t science fiction. Really it’s only a negative criterion: anything which is not naturalistic, which is not about what we call the real world. ALDISS: I think we oughtn’t to try to define it, because it’s a self-defining thing in a way. While I lean towards the German view of science fiction, that of any adventure of the future, I have to admit the Lewis has a point. There is something to the English and American traditions that demands something more, despite how popular futurist adventures can be. However, I'm not as quick to write out whole sub-genres of science fiction from the genre in the way Lewis, Lundwall, and others who prefer their science fiction in the vein of Wells have. Star Wars is science fiction, after all. But English language is caught in a tension between the romance of the future as a milieu and the wild investigation of the unknown. Perhaps the best way to ponder the question is if science fiction can exist without a speculative element. Continental science fiction, that of Germany, France, and even Japan, certainly tends toward the milieu. That's not to say the continental nations don't have speculative traditions, just that the speculative element folds nicely into the futurist settings when it is present. However, the history of science fiction in America shows that the speculative element is not enough to claim the name science fiction. Even in the 1960s, Harlan Ellison was pointing out that an increasing subset of speculative fiction had nothing of the futurist milieu, and was no longer proper science fiction. At the moment, that leaves us with Aldiss's "self-defining thing" or "I know it when I see it." Which is even less satisfying than science fiction as a setting. Curious in reading Lundwall and Lewis, it is the post-Campbellian magazines of Fantasy & Science Fiction and Galaxy that appealed to European critics more than the drab technical work of Gernsback and Campbell. I have previously noted that the Campbelline Revolution never thrives where and when Campbell is not present, and that attempts to graft cuttings from the Campbelline tree onto French and Japanese science fiction inevitably wilted. Further, with the pulps, that the pulps died because editors like Babette Rosmund thought them passe and tried to correct the tastes of their writers and readers. The result: the readership left years before Street & Smith killed their pulp lines. Read that as "When Campbell's influence ended." As Malzberg said in Breakfast in the Ruins, Campbell's influence ended because he listened to fans tired of depressing stories and put his foot down. Galaxy and F&SF gave writers an outlet for all the depressing stories writers could write. Let's be honest, until 2010, it was editors who defined trends in science fiction, not the readers. Part of the upheaval in the 2010s is that there is now more than just an escape valve from the Nielsen-Haydens' vision of science fiction. This, and science fiction as scripture, are the reasons why the genre has to eternally relearn Ellison's complaint: "Before you can educate, you first must entertain." It is ironic that an entire generation of editors who blindly copied Ellison never managed to learn this lesson from their hero. Brian Niemeier is a best selling science fiction author and a John W. Campbell Award for Best New Writer finalist. His second book, Souldancer, won the first ever Dragon Award for Best Horror Novel., and its sequel, The Secret Kings, became a 2017 Dragon Award finalist for Best Science Fiction Novel. Brian's passion for mecha anime and Western science fiction revitalized military sci-fi in the hit martial thriller Combat Frame XSeed. But that was just the beginning! Now, he invites you to help continue the renewal of science fiction! 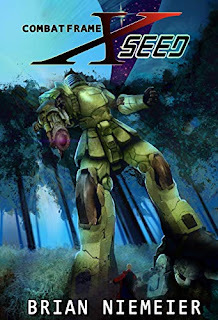 Strongly recommended for fans of adventure, science fiction, and far future thrillers, Combat Frame XSeed captures the spirit of the real robot genre without resorting to the thin reskinnings that plague many Western copies of Eastern genres. Better yet, its knights and thrillers approach breathes new life into military science fiction adventure. It’s a triumph of mecha action. 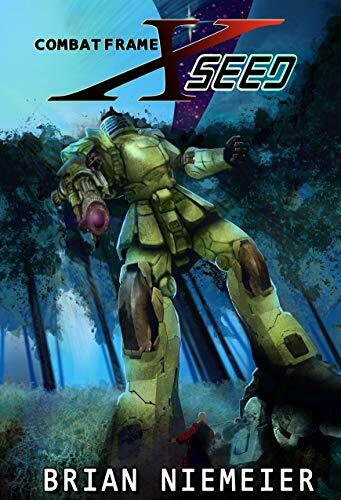 Taking cues from Gundam, Macross and other famous anime mecha shows, Brian Niemeier weaves a fast paced and violent plot filled with fleshed out characters and awesome ideas that never fail to entertain the reader. It is a masterclass in tight plotting and mecha action. All the pieces come together from chapter climax to book climax in a never ending, glorious climb. Super fun. Brian delivered what he promised. Brian Niemeier brings the same otherworldly imagination from his award-winning Soul Cycle to the mecha genre, creating an homage to Gundam and Tom Clancy. At a time where military science fiction has ossified into space marine wars of attrition and Horatio Hornblower battles in space, Combat Frame XSeed offers instead an espionage thriller where raids and revelations change the histories of entire nations. Sieg Friedlander's failed rescue of his sister sparks a conflagration of intrigue and war that engulfs the solar system many times over as he seeks revenge against Director Sanzen for killing his sister. Along the way, Sieg finds allies in Tod Ritter, a noble fighting to free Neue Deutschland from Coalition control, and Zane Dellister, a Coalition deserter who is obsessed with the advanced combat frame prototype he's stolen. 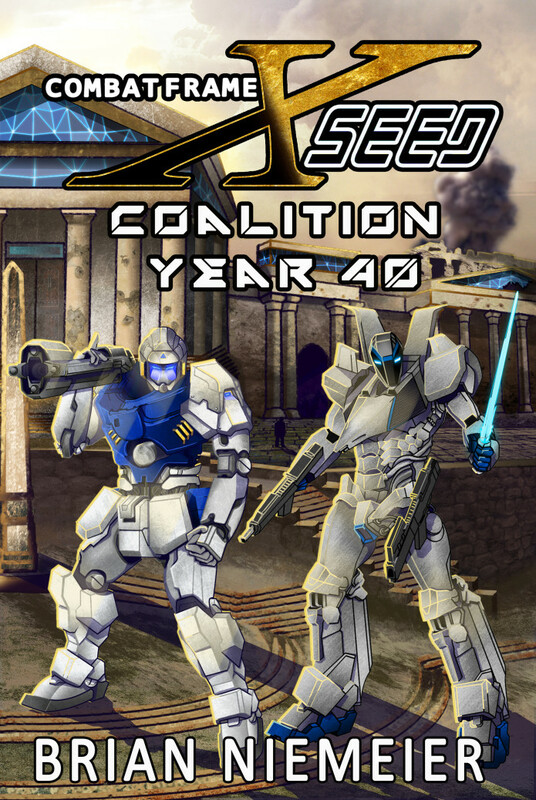 But the Coalition is not a united front, and as Director Sanzen tightens his control over Earth, factions in his government seek their own purposes at his expense. The result is a whirling mix of shifting alliances, betrayals, and revelations as secret histories are hinted at and revealed.